For most of us who explored the “real world” via a child’s point-of-view, principals were our first superheroes. Little 4-feet-tall me can still remember the one at my elementary school. Ms. Peoples would confidently pump down the halls in a bold-colored power suit and high heels. Silence would fall as she peeked into each classroom of busy-bodied students. I would even go as far to say that she was my first example of true power. What made her powerful was her ability to capture the duality of being firm yet an open ear for her students if and when needed. A conversation with Janique Cambridge (@SimplyJanique), a former NYC fashion blogger, brought back that nostalgia in the best way. 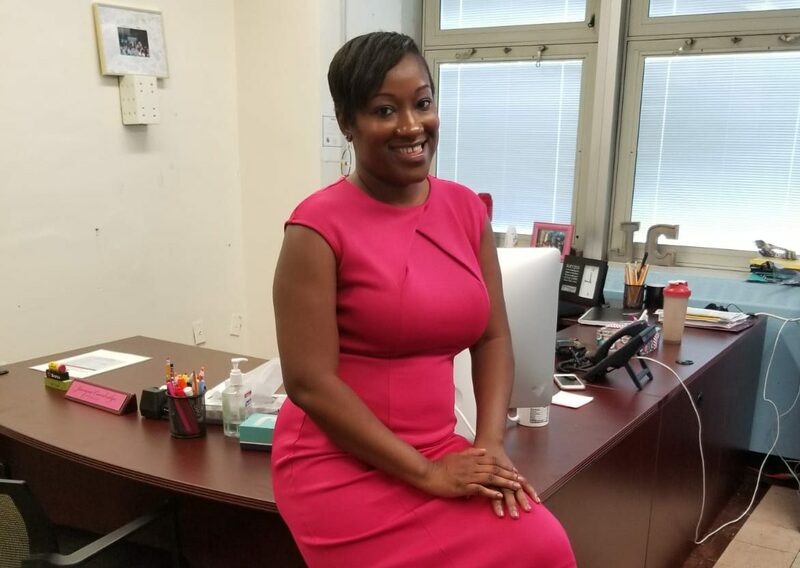 Weeks ago, on her Instagram account, she had shared with her followers that she just smashed her first day as a high school principal. The photo attached was of her in her office, confidently posing at the end of her desk all fall fashion ready. Cambridge began her teaching journey in 2006, the year she graduated college and later went on to get licensed in New York State. She spent the following eight years securing two Masters degrees and working as an English teacher at the high school level. Then there was a shift. “There was a change in leadership at the school I was working at and I learned a lot from them, but there was a lot I wasn’t getting,” she said. So, she set her sights higher, leaving the Department of Education to become an Assistant Principal at a charter school. Talk about a glow-up. Cambridge mastered the art of moving in silence and she didn’t even know it. Her career path has been one of laser-focus while still managing to make time for the things that keep her grounded and centered. She makes it clear that the best form of self-care is rooted in her faith. Her Israel Houghton Pandora station is always popping and she squeezes in other indulgences too, such as a pricey but necessary mobile therapy app. With weekly news headlines of school shootings coupled with the pressures of being a young black woman in a leadership role, it can be a challenge to stay motivated. As far as advice for other aspiring educational leaders, Cambridge harps on having a sense of direction.